Smith Ranch does not have an unusual track record. Accidents, spills and leaks are the norm for ISL uranium mining. It is difficult, if not impossible, to find an ISL uranium site that has not recorded a spill, leak, or excursion. A listing by The Wise Uranium Project of uranium mining companies that have recorded spills and contaminations is extensive and disturbing. In addition, ISL uranium mining, by altering the PH in the aquifer, releases not just the mined uranium but other metals into the aquifer, making restoration of pre-mining conditions almost impossible. It is not unusual for uranium mining companies to asked that required ground water standards be amended and lowered before they complete site restoration, or to appeal for relaxed environmental regulations before mining begins. The problem with in-situ mining goes much deeper than surface spills and leaks. 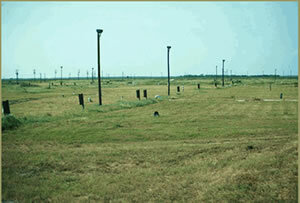 After well drilling, the land area around an in-situ mining field has an orderly appearance compared to conventional mining techniques. Of notable concern for citizens living in northern Colorado, ISL has never been used within close proximity to large population centers. Powertech’s proposed uranium mining site is within 7 miles of Wellington, 11 miles of Fort Collins, and 16 miles of Greeley. The uranium ore body Powertech targets for ISL process is within the Laramie-Fox Hills aquifer which has extensive commercial, municipal, agricultural and residential use. In 2001, prior to northern Colorado’s recent population growth, the Laramie-Fox Hill aquifer had recorded 33,700 wells. The Laramie-Fox Hills aquifer is one of four aquifers that make up the Denver Basin. Layered above the Laramie-Fox Hills aquifer is the Arapahoe Aquifer, separated by only 400 feet of shale, coal, sandstone, and siltstone and within geological layering known for uplifts, faults, folds, and fractures. A point of interest: Denver Basin’s Arapahoe aquifer is where Colorado’s famous Deep Rock Water comes from. Beneath the Laramie-Fox Hills aquifer, separated by a thick deposit of impermeable Pierre Shale, lays the state’s most significant reservoir of ground water, the Dakota-Cheyenne aquifer. It cannot be known whether faults, folds, uplifts and fractures have made paths through the Pierre Shale layer that contaminated water could be forced through when subjected to the pressure created by ISL. Because of the unique geological make-up of northern Colorado, there is no guarantee that underground pressure used in the ISL process can’t drive contaminants into any surrounding aquifers. While bore holes give geologists an exact stratigraphic section of that specific spot, it is impossible to know for certain what the underground terrain is within yards of that spot due to unseen faults and fractures underneath the earth’s surface. The escape of leaching solutions occurs because water is pushed away from a higher pressure area, like the pressure that will occur during the ISL process, to areas where there is less or no pressure. Besides the faults or breaks in the geological formation across the aquifer system discussed above, any hole or opening in the ground will become a flow path for solutions. 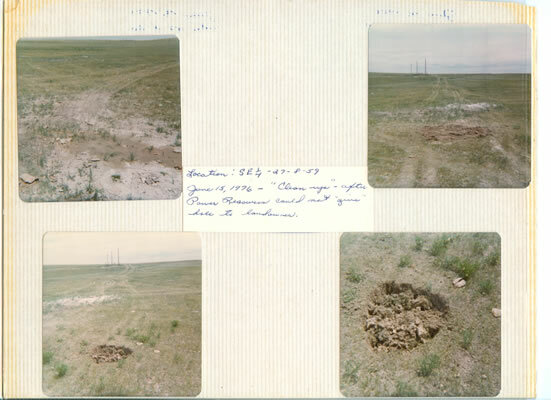 The most obvious examples of holes that exist in and near the Laramie-Fox Hills aquifer can be any of the 3,500 drill holes from the early 1970s performed by RME which may not have been properly capped and the 275 wells that exist in the immediate Centennial project area. While Powertech has not released their information as to the location of drill holes done by RME in the early 1970s on the Centennial Project, there is concern RME’s mode of operation during the 1970’s was similar to concurrent ISL operations at Keota Colorado where uranium miners left the area littered with uncapped and improperly covered drill holes. 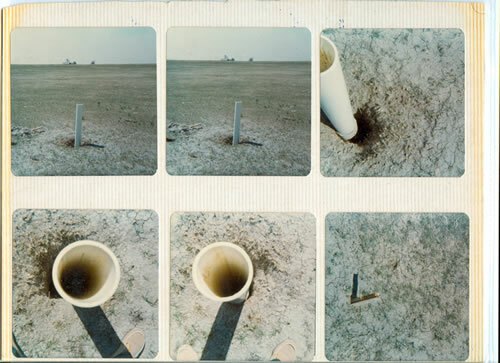 Some drill holes from those early explorations were exposed by Powertech while conducting ground work for new exploratory wells within the Centennial project, as can be seen in one of the photos below. Note: In the last image the Keota drill hole shown was discovered approximately three years after drilling. This hole was 129 feet deep with water up to 68 feet. Once water contamination from uranium in-situ leaching occurs, water quality is irreversibly damaged. "Despite nearly 25 years of commercial ISL uranium mines in the United States (all using alkaline leaching solutions), regulators are yet to review or approve a report on the full scale restoration of groundwater at these sites" (http://www.sea-us.org.au/pdfs/isl/islsummary.html). "There is a lack of understanding surrounding an aquifers restoration after in-situ mining has taken place. Even where unproportionately large amounts of ground water were used in the restoration of a 1.25 acre site, not all contaminates were returned to baseline levels." (Source: SpringerLink). When in-situ leaching releases uranium from its underground formation, other contaminants such as arsenic, molybdenum, vanadium, radium and selenium are also released. Selenium will create a unique and serious problem for northern Colorado (see Selenium Contamination). Click here to view typical failure modes during ISL operation (this provides an animated slide show; it may take a few seconds to load and a few sections between slides - 58k). The following information was taken from the website of SEA-US, The Sustainable Energy and Anti-Uranium Service Inc..
Water moves from high pressure to low pressure, and thus any hole or opening away from the ore zone could act as a flow path for solutions. These may include features such leaking boreholes, fault planes running across the aquifer system, old underground workings, or any other similar opportunity for water to flow freely. When the solutions are injected into an ore body aquifer to mobilise uranium, many other minerals are dissolved into solution and many other radionuclides and heavy metals are mobilised also. These can include radium, arsenic, vanadium, molybdenum, cadmium, nickel, lead and others. The subsequent increase in concentrations can be up to a thousand times higher or more. Due to the nature of the groundwater and orebody chemistry, it is possible to form solid minerals that precipitate from solution and thereby act to reduce or at worst block the flow of solutions through the intended areas. These can include the formation of calcite (calcium cabornate - CaCO3), gypsum (2) (calcium sulphate - CaSO4.2H2O), jarosite (2) (potassium iron sulphate - KFe3(SO4)3.9H2O) and other minerals. The inherent nature of ISL is that it produces extremely large quantities of waste water and solutions which need to be disposed of in an environmentally responsible manner. These are from the bleed water (excess pumping water) and waste solutions from the uranium extraction plant. Typically these solutions are mixed and re-injected into the same groundwater as that being mined, or injection into a deep aquifer remote from other groundwater users of the area or potential environmentally sensitive areas. Extremely high concentrations of radionuclides and heavy metals can be found in these waste waters, and the disposal area chosen also undergoes rehabilitation after the cessation of ISL mining. Due to the mobilisation of uranium in the groundwater and circulating solutions, high concentrations of radium and radon are often found, leading to possibly high radiation exposures. Drill holes during exploration and ISL mining can release huge quantities of radon gas into the air. According to the US Surgeon General, radon is the second leading cause of lung cancer after cigarette smoking. Radon gas might not be the only fallout problem associated with uranium mining drill holes for Colorado’s and Wyoming’s front range. Dr. Gordon Edwards writes “When radon gas is released from a uranium mine, it deposits solid radioactive fallout – including polonium-210 – on the ground for hundreds of miles downwind from the mine site. 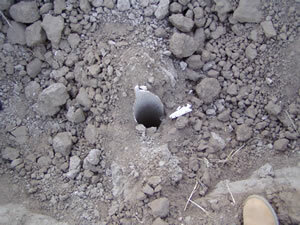 Even during exploration, each drill-hole acts as a chimney which vents radon gas into the air from deep underground” (www.pacificfreepress.com). Polonium-210 is billions of times more toxic than cyanide. The best information available to use as an estimate for determining how many drill holes would be within the Centennial project would come from existing Wyoming ISL uranium mines. 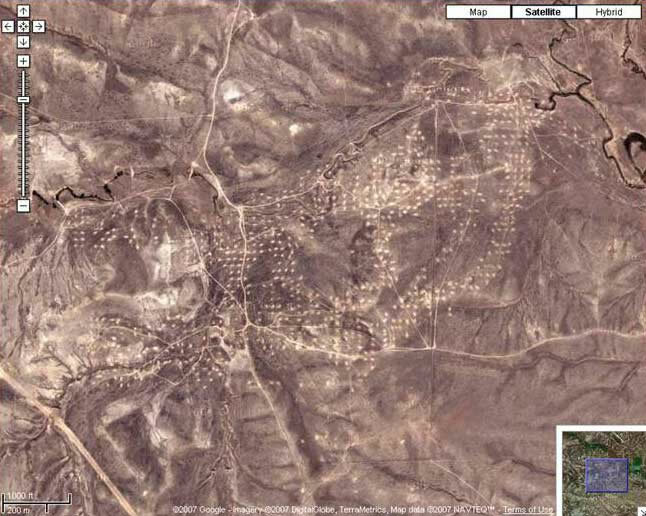 In Wyoming an ISL well is drilled with monitoring wells in a five spot pattern, 100 feet apart. There are ten wells per acre equaling 60 drill holes per acre. There are 6,880 acres in the currently proposed Centennial Uranium project. Click here ( ) to see a map of wind directions and communites downwind from the Centennial Project.